Their smash hit ‘The Hum’ netted them the #1 single spot in their native Belgium going platinum, a feat that was repeated just a few months later with their ‘Higher Place’ collaboration penned with R&B superstar Ne-Yo, which spent an astonishing 10 weeks atop the singles chart in their home country. 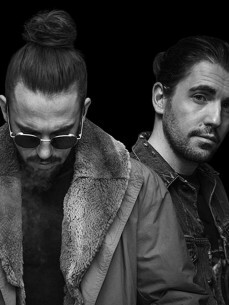 The track also went on to secure the #1 Billboard Dance Chart spot, furthermore picking up a trend as one of the most Shazamed tracks at festivals including Tomorrowland, TomorrowWorld, Ultra Miami and Creamfields – but Dimitri Vegas & Like Mike are never one to conform to standard practice and continue to push the boundaries of their musical scope. This was proven when the bothers, alongside previous collaborators Steve Aoki and Ummet Ozcan, were chosen to produce the official Belgian Red Devils Euro 2016 football anthem ‘Melody’.